Providing media to deliver and display the content. Traditionally, publishing refers to the outsourcing of news and ideas through print media like newspapers, magazines, and books. With the advent of the Internet and World Wide Web, the scope for publishing has expanded to include e-books, blogs, and websites amongst many others. Publications are an avenue to reach out to the global community. Information and opinions can be shared by individuals as well as organisations. 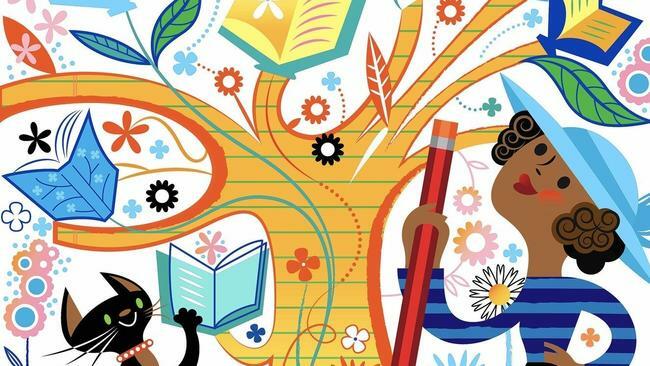 The mutual relationship between a reader and a writer of a certain publication develops and grows on how well a writer can gauge the needs or demands of his/her works’ reader. Newspapers and magazines serve purposes of entertainment as well as general awareness. The scientific community thrives on published journals and research papers. Professionals in the field of science and technology keep track of patents and discoveries; come up with innovative research and development strategies with the help of the millions of indexed publications on scientific platforms and forums such as IEEE. The records maintained of various publications can be acquired as and when required to dig out relevant information from a certain historic time period. Fiction and non-fiction provide a world (real or imaginary) for readers to find solace and companionship in. Publishing is a writer’s or a poet’s way of sending a message to the world, of getting their voices heard. Basically every profession, every field of personal or societal development involves the input or output of books or other published material. While information is most welcome in any international household, the process of publishing faces a number of challenges. For starters, misinterpretation of published articles can lead to communal disharmony or personal conflicts. Specifically, certain publications on social media lead to controversies regarding how much liberty can be exercised under the ‘Freedom of Speech’ banner. Writers, editors and publishers need to exercise caution over allowing sensitive written material being made available to the public. While the precautions mentioned in the above point is necessary, it is arguable how keeping important information from the public is justified, however sensitive it may be. Therefore, the crowd involved in this profession have to strike a balance and often compromise on what content should or should not reach the printed pages. The staggering amount of information available from publications sometimes comes under scrutiny for violating copyright issues. Online content runs a high risk of plagiarism. A writer’s life’s hard work being reproduce by unfair means is a huge backlash to the community that delivers words and ideas through doors of houses. Nevertheless, in this technological age, information needs to be transmitted to various parts of the world through electronic and/or print media. A certain sanctity and hierarchy needs to be maintained in the process of publication to take care of conflicting issues and ideas. Suppose you have been thinking about writing a full-fledged novel (fiction or non-fiction) or a collection of short stories or have a well-maintained travelogue. Wouldn’t it be worth all the time and the hard work (that goes into the writing and typing) if you could publish this masterpiece of yours for the entire world to read and get inspiration from? If you are one such passionate writer but do not possess the enthusiasm or the energy to approach an age-old publishing house, then you have probably already tried your luck in the self-publishing business online. Budding writers with manuscripts, after getting rejected by publishers, also turn their focus towards self-publishing their book. Self-publishing platforms possess a certain edge over traditional in that they don’t judge a book or a manuscript from end to end. A nominal investment from the author’s end is all they ask for along with a copy of the writing. Instead of spending weeks and months writing sample chapters for a book proposal for approval from a publishing company, you can straightaway publish, market and sell your books through these online platforms. From the early 1990s, the advent of technology led to the increase of Print on Demand (POD) services which allowed books to be printed one at a time. These services come with a low priced, self-publishing These services were cheap, affordable by aspiring writers. This was because they focused on getting the book in print with no time given towards editing, distributing or marketing the print. These self-published books hardly ever got the chance to attract readers on the windows of a bookstore and sold a very small number of copies locally. Although PODs were not a very useful service to gain recognition as an author and have become largely irrelevant to self-publishers now, they were the first baby steps taken towards the self-publishing revolution that we are facing now. E-books and digital media have changed the way traditional publishing works since the beginning of this century. They have also brought about a revolutionary metamorphosis in the way self-publishing Currently, 30-35% of all US book sales are from E-books. Moreover, more than 60% of book sales (whether print or digital) happen through an online retailer, Amazon being the first choice for most buyers. Since Amazon also provides an interactive and easy to use interface for self-publishing, self-marketing and self-sale of books without the aid of a third party, it is also the prompt choice for budding self-publishers. Writers will tend to choose themselves as the marketing agent for their books than paying a third party publisher for the same, provided he/she has the time to pursue the online market with promotions of his/her book. Online channels provide drool good services for those looking to publish their work. You don’t pay till your book sells. The online retailer takes a cut from the sale of your book; and if you use a distributor, a certain percentage of the sale goes there. The only disadvantage that you, as a self-published author can face here is that customers shopping for e-books from the online retail store will pay a comparatively lesser price for your digital copy than what they will pay for a new author’s hardcover book. Therefore, optimum price setting for your book is of utmost importance to ensure that your book sells. The traditional publishing business faces a grave disadvantage as they undergo a considerable loss in business when passionate writers move to online platforms for self-publishing their work. Due to their demands and filters for high-quality writing, not many manuscripts make it through the stringent screening and editing process of many publishing houses. Hence, new authors would rather approach a self-publishing There have been instances of major publishing houses pulling down their shutters after unsuccessfully trying to lure writers with decent manuscripts. Also, plagiarism plays a huge risk to the sanctity of original content available on the internet. The present hegemony of the web over all other print and digital media of information sharing has witnessed numerous violations of cyber copyright laws every day. 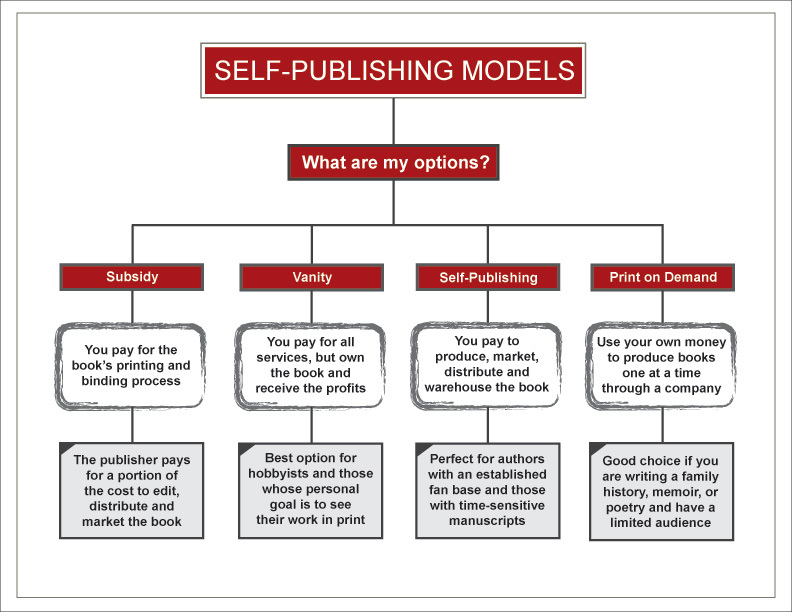 The three top modes of self-publishing are electronic publishing, Print on Demand (POD) and vanity publishing. It mainly caters to e-books. E-books vary in the number of formats and tools that can be used to create them viz. PDF, EPUB, MOBI and others. E-books designing and publishing do not involve per-book costs. Hence this is one of the most popular options for self-publishers. Pronoun, Smashwords, Blurb, Amazon Kindle Direct Publishing, CinnamonTeal Publishing, Bookbaby, Pubit and CreateSpace are some of the on-demand e-book publishing platforms. Print-on-demand (POD) has been talked about previously. This is an economically advantageous option for self-publishers. However, due to free services of e-book publishing, POD is highly irrelevant to most self-publishers in the current market. However, companies such as Createspace (owned by Amazon.com), Blurb, Lulu and iUniverse provide lower per-book costs for printing one book at a time than publishing businesses that provide large print runs. Print on demand is perfect for most new authors because it’s hard to judge how well a book will sell, and hence ordering copies before they’re sold can turn out to be an expensive wastage. These publishers claim to provide relatively unknown authors with a chance in the publishing domain in exchange for a fair amount of payment from the author. Since reputable publishing companies don’t encourage manuscripts from new hands instead of experienced ones, these vanity companies took the opportunity. Vanity publishing differs from self-publishing. The author is not in control of the distribution of his/her book and has to make a considerable payment to the company. Single Channel Distribution: Retailers distribute and sell the authors’ (using their services) work through only one channel. Amazon Kindle Direct Publishing and Barnes & Noble’s Nook Press are amongst the few companies who distribute exclusively on their channel. These retailers hardly provide any service for the creation of your e-book file, although they provide some format options to upload your file. Multiple Channel Distribution: These services primarily act as intermediaries to promote and distribute their clients’ work to various retailers online. These help in reducing the amount of work an author needs to do; the author deals with only one service provider and gets the advantage of distributing his/her book over multiple retailer platforms. The well-known multiple channel distributors are Smashwords, BookBaby and Draft2Digital. Many multiple channel distributors provide the option of the author not having to work at all. However, in exchange for their services, the author has to pay an upfront fee and allow a percentage cut from the sale of the book. CreateSpace: Amazon’s Print on Demand service for authors, CreateSpace merged with BookSurge a few years back. It lets authors sell a paperback copy of their book either on CreateSpace.com or from Amazon.com. The author only needs to upload a PDF and set a price above the base price provided by the company. Authors pay only after the book sells. The authors are in charge of the commission percentage. 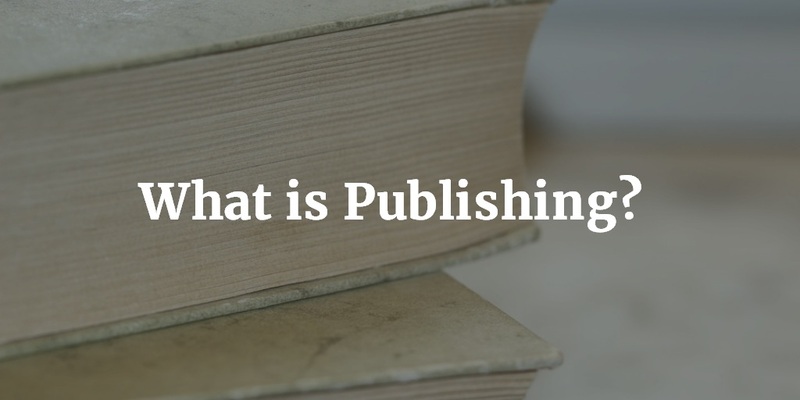 The only constraint that authors face is in the design and format, the cover and content must be in PDF format.The website offers preview options so that the author can make changes before the book is released for sale. CreateSpace links a Kindle version of your book to the paperback if you opt for it. Customers have paperback and softcopy formats to choose from while purchasing. Amazon Kindle Direct Publishing: Amazon allows you to publish your books independently with Kindle Direct Publishing (KDP) on the Amazon Kindle Store. You can make changes to your book any time you want. Publish once in less than five minutes and reach readers worldwide. The published book appears on Amazon for sale within 24 hours. You also have the option to make your book available on Kindle. Smashwords: This is the world’s largest distributor of indie e-books. Their services are fast, free and easy. Being a multiple channel distributor, they extend their services to make your books available at retailer websites all over the world. They provide free software tools for marketing, distribution and sales reporting. Self-publishers at Smashwords exercise complete control over the pricing and marketing of their works. BookBaby: This makes self-publishing very easy and hassles free with its cover design, book printing, eBook conversions and distribution options. BookBaby is also a multiple channel distributor and offers a large eBook distribution network, including Amazon, Sony, Apple, Kobo, Barnes & Noble and other popular retailers in around 170 countries. You can retain the rights to your work and maintain total creative control. 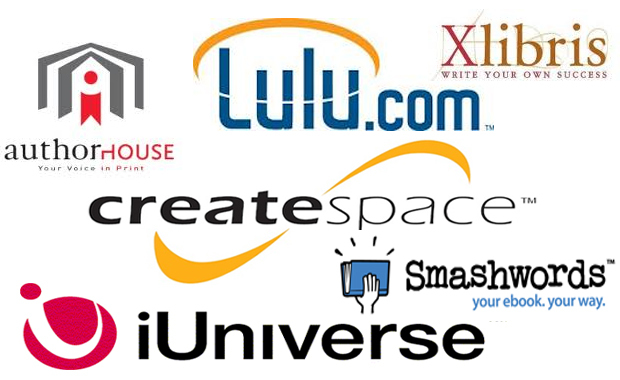 Lulu: Lulu was the company that introduced the online self-publishing industry and thus paved the revolutionary way for authors to publish their books and market them while retaining full control over their work. Lulu provides multiple channel distribution over worldwide markets so that authors can reach out to customers at any corner of the world via print, e-readers and tablet devices. As a leading self-publishing company, Lulu has encouraged people in more than 225 nations to self-publish nearly two million publications. If you have found a great idea for a book, go type it out. To get it professionally self-published here’s what you need to do. The genre of the book, your time constraints, your financial commitment and the publishing process used are the key factors in the time and effort required to get that book up and selling. First and foremost, research the idea to make sure that it is viable as a full-length book. Next, define your target audience. Decide which genre your book comes under and what age group it targets. Also, think about which media your target audience will prefer- digital or print. Make a detailed outline of the book’s content. Research the potential content. Prepare the manuscript. Have the manuscript copy-edited. Choose a self-publishing option that suits you as well as your target audience – Print on Demand (POD) or electronic or vanity. Approach a publisher and distributor. Apply for ISBN and copyright. Your publisher may handle this step. Set an optimum cover price for your book. Upload it to your retailer’s website. If you have the time, plan and implement a comprehensive marketing and advertising campaign. You can also develop a website to promote your book. Have your book listed with as many online self-publishing retailers as possible. Make necessary changes in your book if needed. Continue promoting and marketing your book as your retailer takes orders. The self-publishing industry is here to stay. With assuring deals and easy options for new writers in the block, the self-publishing companies are finally striking a balance in that they are producing some quality books amidst the staggeringly large number of self-publications. For more information on self-publishing, click here.